This download contains a two Virtual Machine set for evaluating and demonstrating Office 2010 and SharePoint 2010. Virtual machine “a” contains the following pre-configured software: 1. Windows Server 2008 SP2 Standard Edition x64, running as an Active Directory Domain Controller for the “CONTOSO.COM” domain with DNS and WINS 2. Microsoft SQL Server 2008 SP2 Enterprise Edition with Analysis, Notification, and Reporting Services 3. Microsoft Office Communication Server 2007 R2 4. Visual Studio 2010 Beta 2 Ultimate Edition 5. 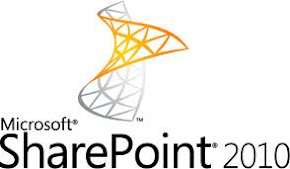 Microsoft SharePoint Server 2010 Enterprise Edition Beta 2 6. Microsoft Office Web Applications Beta 2 7. FAST Search for SharePoint 2010 Beta 2 8. Microsoft Project Server 2010 Beta 2 9. Microsoft Office 2010 Beta 2 10. Microsoft Office Communicator 2007 R2 Virtual machine “b” contains the following pre-configured software: 1. Windows Server 2008 R2 Standard Evaluation Edition x64, joined to the “CONTOSO.COM” domain 2. Microsoft Exchange Server 2010 Active directory has been preconfigured over 200 “demo” users with metadata in an organizational structure. All of these user profiles have been imported and indexed for search within SharePoint Server 2010, with “contoso\administrator” granted administrator permissions. SharePoint Server 2010 has been configured in a “Complete” farm using Kerberos authentication and the default SQL Server 2008 instance for data, and has a site collection created using the Team Site template at http://intranet.contoso.com/ and a FAST Search Center at http://intranet.contoso.com/search/. Performance Considerations 1. If possible, unpack and run the VM image on a separate, fast hard drive (7200 RPM or better) from the operating system of the host machine. If this is being done on a laptop, a second internal drive or external eSATA drive works best, though USB 2.0 (make sure it's 2.0, 1.1 is too slow) or Firewire is acceptable. For absolute best performance use a second internal SSD drive. Recently I have pass the certification exams. The exam questions are not difficult, if you are clear on SharePoint key concepts.